dear, sweet, pretty, lovely, delicious Miss Sophy. This naughty baby stays so long that I am afraid it will be a giant, like King Richard. handsome enough, though not eminant for beauty. Susan & Sophy are fine Girls, and promise to be a Credit & Comfort to their Parents, neither do I yet see any Disposition in the Eldest that need give one pain”;. Also at age four, she was memorising hymns, her multiplication tables and various Psalms. 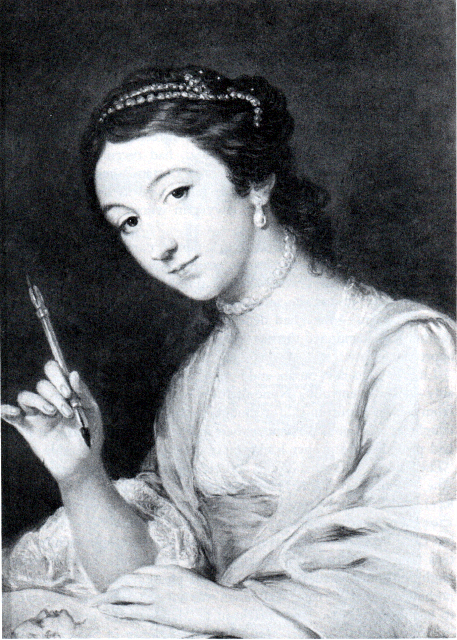 Sophia, who is a more natural Character, finds no Entertainment in writing at all; but works hard at her Needle, and Harpsichord, and gets to spouting Fingal for her Diversion—they both1 have obtained the French Accent very completely , considering they have never been out of England. I should like to treat them to with a run to the Continent. My Sophy Thrale has begun to study Musik in good earnest; She will learn to play & sing very well I fancy, Piozzi has great hopes of her. Sophy is an Epitome of all the Cotton family—'tis odd that none of my children should resemble my Father. She attended Mrs Stevenson's school in Queens Square, London, and Mrs Cumyns's boarding school in Kensington, London. Heavens! a new Distress! my Child, my Sophia will dye: arrested by the hand of God—apparently so: She will die without a Disease—Fits, sudden, unaccountable, unprovoked; Apoplectic, lethargic like her Father. Woodward and Dobson are called: they say her Disorder should be termed Allonitus. 'tis an instant Cessation of all Nature's Pow'rs at once. I saved her in the first Attack, bya Dram of fine Old Usquebough given at the proper Moment—it reviv'd her, but She only lives I see to expire with fresh Struggles. Oh spare my Sophia, my Darling, oh spare her gracious heaven—& take in Exchange the life of her wretched Mother! She lives, I have been permitted to save her again; I rubbed her while just expiring, so as to keep the heart in Motion: She knew me instantly, & said you warm me but you are killing yourself—I actually was in a burning Fever from exertion, & fainted soon as I had saved my Child. Sophy has a Turn for making Verses, bad enough to be sure, yet such a Turn shews Genius in a Girl who was nine Years old only a fortnight ago. I had to-day another trifling letter from the physicians. Do not let them fill your mind with terrours which perhaps they have not in their own; neither suffer yourself to sit forming comparisons between Sophy and her dear father; between; whom there can be no other resemblance, than that of sickness to sickness. Hystericks and apoplexies have no relation. Sophie's illness recurred for at least a year. It was mentioned again by Johnson in his March 1784 letters. 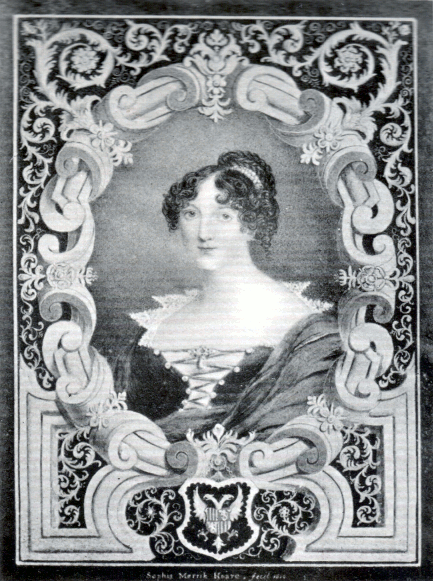 On 13 August 1807, Sophia married Henry Merrick Hoare (1770 - 1826). 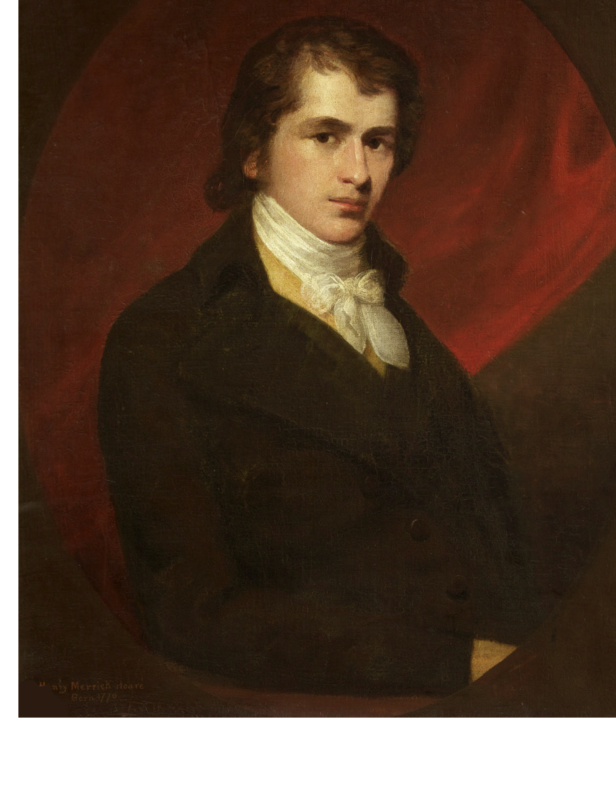 He was the 3rd son of Baronet Sir Richard Hoare and Henry was a banker in the family firm founded by his great great grandfather. Henry was also the 15th great grandson of King Edward I (1239-1307) and 16th great grandson of Henry III (1297-1272). On hearing of the wedding, which she did not attend, Sophia's mother wrote of Sophia's kindness and civility. "The Subject Cattle driven down to drink, & the first Cow expresses Something of Surprize as if an Otter lurked under the Bank. It is a naked looking Landschape—done to divert Abel the Musician by representing his Country Bohenia in no favourable Light, & the Dog is a favourite's Portrait…. In 1805 Sophia sent her mother a gift of pens, to which her mother wrote some verses in response, by way of thanks. 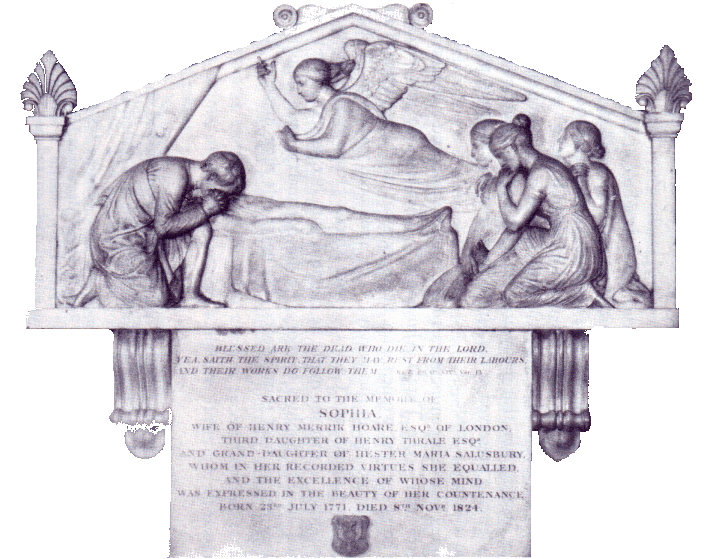 Sophia died on 8 November 1824 aged 53. Her portrait is believed to be at Bowood House. 1. She was writing about Susannah and Sophia.